At Travelocity, we believe that travel can be about more than just a vacation. We believe it can be a force for good; helping us all give back in ways both big and small. That's why we're making it easy to Travel for Good: from an exclusive promo code that discounts your hotel booking and supports American Red Cross® Disaster Relief, to an interactive map that connects you with volunteer opportunities across the USA - we're empowering travelers to do the "good" they've always dreamed about, every step of the way. We know your vacation time is precious and limited. You’ve earned your time away from home and we don’t blame you for wanting to enjoy it. 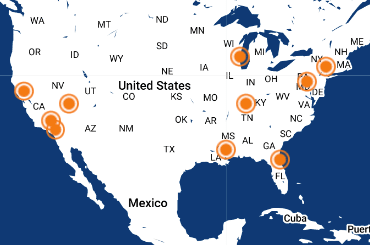 That’s why we created a handy, interactive map connecting you to volunteer organizations in all your favorite destinations—including Chicago, Las Vegas, Nashville, Orange County, Orlando, New Orleans, New York, San Diego, San Francisco and Washington D.C.—where you can be a Go-Gooder for just a few short hours. Whether it’s packing lunches for people with food insecurity or helping shelter dogs find a new forever home, use this map to find simple ways to Travel For Good on your next vacation. Please see full disclaimer below. Giving back should be as easy as taking a vacation. That’s why we’ve created an exclusive promo code that allows you to Travel For Good—and save money—simply by booking your next trip. It’s easy: Book two consecutive hotel nights using the promo code TRAVELFORGOOD to get $25 off your booking and we’ll give $25 to American Red Cross® Disaster Relief. It’s a win-win. 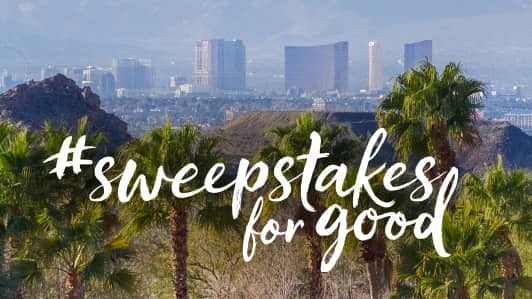 Travelocity recently launched the #SweepstakesForGood to give away 3 volunteer vacations to cities across the U.S. Luckily for you, it’s easy to book the same trip we’re giving away below! Want to Travel For Good, but not sure how to get started? While the Inspire blog aims to fire up the imagination with travel stories from all corners of the world, it also aims to empower. Scroll through to find stories to help you get started on the process of a building your own volunteer vacation. From how to Travel for Good with kids, to packing tips for a Go Gooder vacation, everything you need to know is only a click away. Happy travels, and thanks for traveling for good! Versatility and foresight are key. A few volunteer vacation hours here and there? Everybody wins! You don’t have to give up your whole vacation to make a difference. Your nest may be empty, but your heart is full. Volunteering on vacation is great for all ages. When travel is less about the destination and more about the people living there. Here’s all you’ll need for your voluntourism experience. Volunteer to have the experience of a lifetime. Sometimes the smallest things make all the difference. 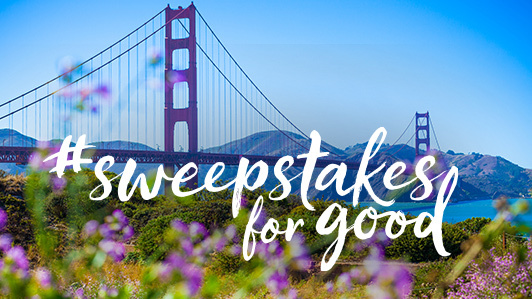 Why not give back on your next getaway? Disclaimer: Our website contains links to websites owned and operated by third parties. If you use these links, you leave our Website. These links are provided for your information and convenience only and are not an endorsement by Travelocity® of the content of such linked websites or third parties. Travelocity® has no control over the contents of any linked website and is not responsible for these websites or their content or availability. Travelocity® therefore makes no warranties or representations, express or implied about such linked websites, the third parties they are owned and operated by, the information contained on them or the suitability or quality of any of their products or services. If you decide to access any third party websites and make use of the information contained on them, and/or make any donations to such third party, you do so entirely at your own risk. Travelocity® accepts no liability for any damage or loss, however caused, in connection with the use of or reliance on any information, material, products or services contained on or accessed through any such linked website. This DC-area charity provides essentials (including diapers and nursing items) to young families in need of assistance. Volunteer sessions (where helpers organize and put together care packages) are open to all ages, but Wednesday Whinedays are adults only and, you guessed it, feature vino. This foster-based, non-profit animal rescue offers opportunities for “volunteer when you can helpers,” where you can chip in at weekend adoption events (among other assignments) and the only pre-commitment is to sign up for a weekly newsletter. Ages 12 and up are invited to sign up for weekday warehouse shifts at Food For Others, where you’ll be sorting through food donations, stocking shelves, assembling nutritious food packs for elementary school children and other tasks that make it easier for this org to provide good foods to the needy. 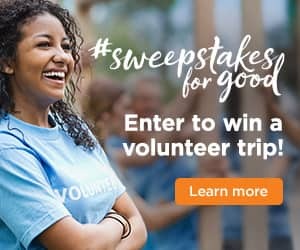 After quickly registering online, volunteers can check out the Capital Area Food Bank volunteer opportunities calendar and sign up for duties that include working in the distribution center, community market, garden and various events that help feed the hungry in the nation’s capital as well as nearby Virginia. This DC-based charitable organization aims to break the cycle of poverty by providing clothing, education and food to at-risk families in need. When you sign up to merchandise clothing donations or help families and children shop for gratis produce and healthy pantry items at more than 50 pop-up markets, you’re helping to bring that vision to life. Book a Trip to Washington, D.C. This non-profit saves food from NYC restaurants that would otherwise go to waste and delivers it to folks who need a helping hand. Becoming a “rescuer” is easy, usually doesn’t take more than 30 minutes out of your day, and will most likely introduce you to a new part of the city. This organization has been providing nutritious meals to New Yorkers dealing with medical issues for more than three decades. Individual volunteers chip in by working in the kitchen, delivering meals, and helping with other special events. Founded by Bette Midler in the mid-‘90s, this non-profit is all about bringing more nature to the Big Apple. Volunteers help plant trees, clean parks, and bring their green thumbs to various community gardens through the New York City’s five boroughs. From mid-April until the weather turns in November, drop-in volunteers at Harlem Grown can spend a Saturday helping out on the farm on 134th street (yes, a farm in the middle of Harlem! ), where tasks generally include weeding, watering, composting, and other hands-on duties. After filling out a quick online form and getting a confirmation email, you’ll be all set to chip in with this animal rescue non-profit, where you can volunteer at the Live Saving Centers, Super Adoption Weekends, and more. Second Harvest Food Bank helps bring food to Floridians in need, and volunteers make it happen by packaging and organizing food at its warehouse. Clean the World Foundation is an international development and global health nonprofit operating water, sanitation, and hygiene (WASH) education programs, emergency relief initiatives, and microfinancing projects targeting vulnerable communities in the United States and around the world. Since 2009, Clean the World Foundation has served over 10 million individuals through its programs across 127 countries. Give Kids The World Village is an 84-acre, nonprofit “storybook” resort located near Central Florida’s most beloved attractions. Critically ill children and their families are treated to weeklong, cost-free vacations, complete with accommodations in whimsical villas, transportation, donated attraction tickets, meals, and much more. Since 1986, Give Kids The World Village has welcomed more than 165,000 families from all 50 states and over 75 countries. For more information, visit www.givekidstheworld.org. The goal here is to end hunger in the Windy City, so when volunteers show up at the Greater Chicago Food Bank warehouse they help repackage food, deliver meals and even lend a hand with seasonal vegetable harvests. This Chicago-based, no-kill animal shelter offers a range of on- and off-site volunteer opportunities ranging from working with cats and dogs to operational support, helping out at events and more. Want to volunteer while you’re visiting Chicago, but still not sure where or what you want to exactly do? Chicago Cares pairs volunteers with a large variety of non-profits. Decide if you want to participate on a skills-based or hands-on project, and you’ll be volunteering in no time. This org is dedicated to fighting breast cancer not only in Las Vegas, but all of Nevada. Volunteers help out with everything from fundraising to helping at events. After registering online, volunteers can easily opt to join a team to build and repair homes, as well as pitching in at various scheduled events or even lending a hand behind the scenes at the Habitat For Humanity offices. Book a Trip to Las Vegas"
This organization is all about making sure San Diego’s fishable and drinkable waters are safe, and volunteers are a big part of that mission. While some tasks require training, anyone can volunteer to help with twice-monthly beach cleanups. Feeding San Diego is solving hunger and saving the environment. We capture good food before it goes to waste and deliver it to people facing hunger. Feeding San Diego is the future of hunger relief. We are changing the way nonprofits solve hunger. FSD is the leading hunger relief organization in the county, distributing healthy food with dignity to San Diego residents facing hunger. We are the only Feeding America affiliate in the region, and have been innovating new logistical, technological, and relationship-building solutions to the problem of food insecurity since 2007. This non-profit’s mission is to keep the beaches (and the ocean) of San Francisco clean. A big part of that includes regular beach cleanups, which are very easy to join: No RSVP is required for individual volunteers and groups consisting of less than 10 people. More than 125 volunteers help Project Open Hand get food to sick and elderly residents of the City by the Bay every day, which means there are plenty of volunteer opportunities (think working in the kitchen and delivering food). Groups of three to 20 people can sign up and drop in to work a weekday shift. Since 1981, Friends of the Urban Forest have planted more than 60,000 trees in San Francisco, making the city a greener place. And they’re not done yet: Volunteers can sign up to help plant trees on Saturday mornings, where they’ll be rewarded with coffee, pastries and even potluck lunch prepared by appreciative community leaders. Alemany Farm is the largest urban farm in San Francisco, and in addition to educating folks on how to become healthy food producers, the farm also gives away all the food it grows for free. Individual volunteers can show up on a scheduled workday, get their hands dirty tending to the land and walk away with some fresh veggies. This multi-sector service project group is all about spreading goodwill throughout one of Orange County’s most visited cities by matching volunteers with worthy causes in need of extra manpower. Volunteers can sign up to help out with ongoing projects like cleaning parks or giving fire hydrants a fresh coat of paint, or participate in one of the larger scale, multi-day Service Project Events that take place around the city four times a year. As part of one of the most well-known charities around the world, this local chapter of Habitat for Humanity strives to provide the residents of Orange County with housing and services. Volunteer opportunities include helping out at home construction sites, working in the org’s ReStore (located in Santa Ana) and more. Second Harvest Food Bank helps bring food to residents of Tennessee’s central region in need, and volunteers make it happen by packaging and organizing food at various locations in the area. Bring the kids to the Nashville outpost on Thursdays for Family Night, where ages six and up are welcome to report for duty. The Nashville Zoo is one of middle Tennessee’s most popular attractions, so you can kill two birds with one stone by checking out the wildlife here while also doing a good deed. Most of the one-time volunteer opportunities are found at the zoo’s weekend and evening events such as the adults-only Brew at the Zoo and holiday-related celebrations for Easter, Halloween and more. For more than 25 years, Hands on Nashville has been connecting volunteers of all ages to a wide variety of service projects each month. Examples include working in local food banks, community gardens, diaper banks and other organizations that aim to improve the lives of Nashville residents in need. Green Light New Orleans was founded in the aftermath of Hurricane Katrina in 2007 with a mission to encourage collective action, one household at a time, to create a more sustainable and resilient community. Volunteers can participate in the movement by signing up to prepare and paint rain barrels, help in the teaching garden, and install energy efficient light bulbs in homes.